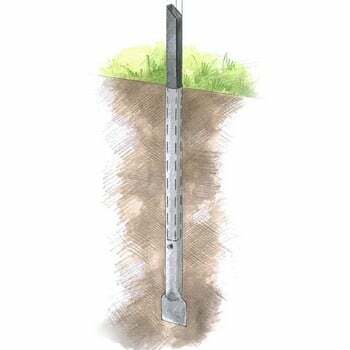 Our Steel Ground Sockets are designed to make our Walk-In Steel Fruit Cages more rigid in softer ground and are really useful if the cage is in a windy location, providing greater stability for your fruit cage. 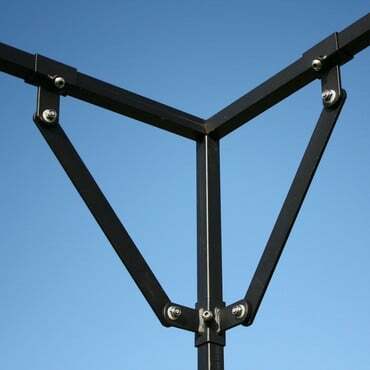 The Ground Sockets have a wider diameter than the cage uprights and are inserted further into the ground. We advise using the optional Driving Cap to help drive the socket into the ground. We also recommend that installation is done when the ground is wet and therefore softer. If the ground is particularly hard or stony we would advise using a Hole Former which is available separately. Footplates allow the cage to be levelled by adjustment of the depth into socket that the upright sits which is useful on uneven ground. Not sure how many footplates and/or sockets you'll need for your chosen size of cage? 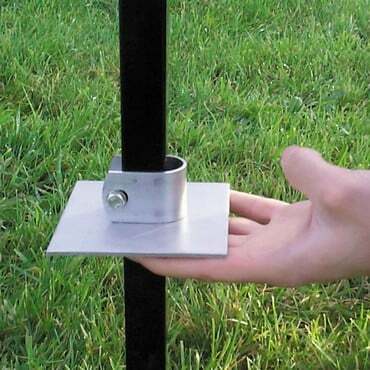 See our Steel Fruit Cage Footplates and Sockets Guide for an instant answer. I had a cage for several years (purchased before ground sockets were available) which had sunk by up to 10" in places and acquired a serious tilt. The ground sockets and foot plates have enabled me to straighten it. I was surprised at how large and sturdy they were. The pictures do not give a good idea of the size. Very pleased with the result. 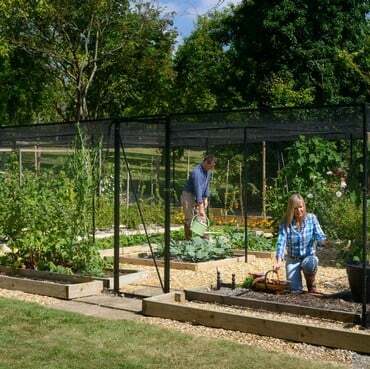 I had used the ground sockets to put up my fruit cage. They improved anchoring and made it reasonably easy for me to erect the cage (20 feet X 20 feet) single handed. I wanted to put up some raspberry support frames inside the cage. 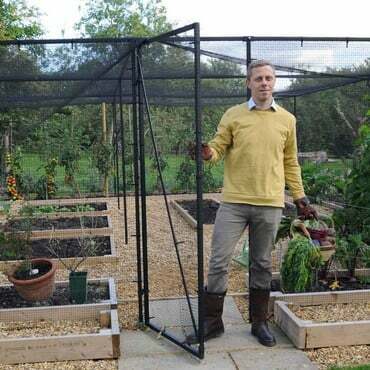 The soil is soft to a considerable depth and I wasn't happy that the frame would stand in strong winds so I decided to try using the steel ground sockets. They worked a treat and the raspberry frame work is much more stable. The also made putting up the frame much easier. I could assemble each support with the cross bars and then simply drop it into the ground socket. These ground sockets make putting cages up a piece of cake and I would thoroughly recommend them!